Home/ About Us/ Subsidaries/Huanggang Ya Dong Cement Co., Ltd.
Huanggang Ya Dong Cement Co., Ltd.
Huanggang Ya Dong Cement Co., Ltd. (the “Company”) is a foreign enterprise established by Asia Cement Corporation and Ya Dong Holding Co., Ltd., both of which are subsidiaries of Far Eastern Group in Taiwan. 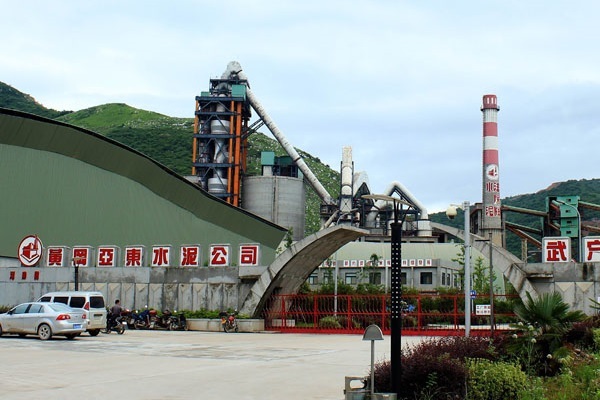 Through the acquisition of the primary production plant of Hubei Huanggang Cement in May 2006, the Company was registered and established in Huanggang City in August 2006. As such, the Company was the first acquisition project of Asia Cement (China) Holdings Corporation in Mainland China. The Company is situated in Tian Town, Wuxue City, Hubei Province, where the former primary production plant of Huanggang Cement was located. To the south of the plant is the Wuxue-Hanyuan Highway. The plant is near the Yangtze River, and Wuxue City is 16 km east of the plant, while Huangshi City is 70 km west of the plant. The plant has a site area of approximately 610 mu. The limestone quarry is in the north end of the plant, covering an area of approximately 2,300 mu, and is only 1 km away from the plant using straight line distance measurement. The Company’s first phase construction commenced in March 2008, of which the cement grinding system commenced production at the end of October 2009 and the rotary kiln system was put into operation at the beginning of May 2010, with a total investment of over RMB1.3 billion and an annual cement capacity of 2 million tonnes. The Company intended to construct another cement and clinker production line of similar scale for its second phase construction. The task of planning for such project has commenced, and construction can begin upon obtaining approval; the investment amount is expected to be approximately RMB1 billion.